How a sports accessory can help diagnose your pain! There is quite a lot of information on the internet which points to using a tennis ball or specially designed massage ball (some have nodules on) to massage out tight knots in muscles, whether they be in the back, neck, feet etc. I have also found that the humble tennis ball can be used to point to possible areas of chronic inflammation which once found can then be targeted with ice (see the post ‘Hot or Cold?’ ) or other treatments. Therefore there are potentially two benefitsto this treatment. If your back is very reactive or sore find a larger, softer ball to do the following technique. 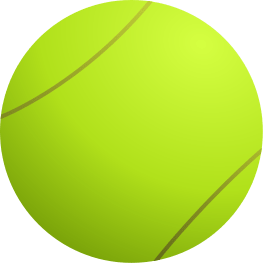 If by using the larger ball you can’t feel anything much, go down in size and increase the hardness of the ball until you end up with a tennis ball. I suggest using a wall to stand against, some 6 inches/15 cm away leaning back onto the ball. Other techniques can suggest lying on the ball but I know the last thing someone with a sore back wants to do is lie on a hard ball on the floor whilst wiggling around on top of it! The wall technique is much gentler and gives you more opportunity to find areas of soreness in your whole back in a controlled way. The object is to get to know where your problems originate from within your back not make it more sore! Stand, approximately 6 inches/15 cm from the wall and place the ball you are using at the base of your spine, off to one side. Lean against the ball very gently, varying the pressure depending on how sore the spot is. Move on the ball by bending your legs which will move your body up and down on the ball, or move side to side or with circular movements. Move the ball by hand to another spot and repeat step 3. Check your whole back for any sore areas – you will work up and down both sides of your spine, over the buttocks, shoulders and neck. Always end on the side which is most sore. Its always nice to check for knots behind your shoulder blade. If you find one, gently press on the spot with the ball and see if the knotted muscle releases somewhat to reduce the pain. As you get to know your back you can try to massage out knotted muscles with the ball.